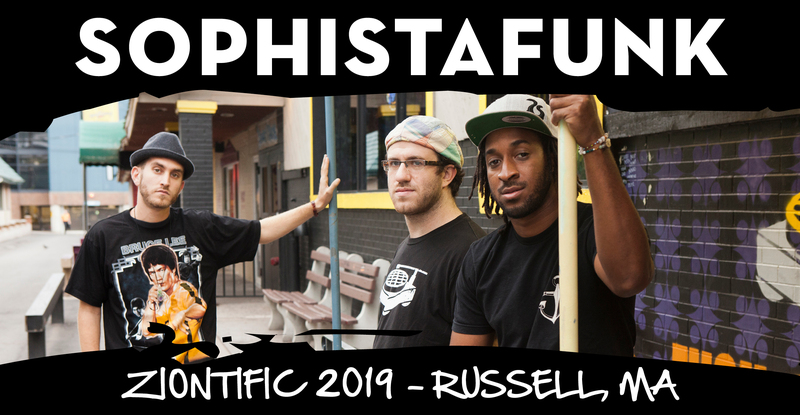 From their home in Syracuse NY, SOPHISTAFUNK has been traveling from coast to coast and overseas since 2012. This band is known for their HUGE sound, dank beats, heady flows, and ‘analog soul.’ Singer/beatboxer Adam Gold plays four keyboards at once, melting faces with synth bass lines and vintage tones. Drummer Emanuel Washington ignites the dancefloor with pocket grooves and smooth vocals. Energetic front man Jack Brown create his own revolutionary brand of lyrical artistry. Together, they combine into a unique blend of live hip hop, funk, and jam music, often featuring live horns or other musical guests. This is definitely one of the most unforgettable bands on the live scene today. Following the success of their recent single “No More War”, the band continues to build momentum in 2019.